Lotus Herbals Pure Colors is a 100% vegetarian range of moisturizing lip colours available in 22 rich, sophisticated shades including peaches, pinks and nutty browns, enriched with the botanical extracts of Aloe Vera and Jojoba. The lipstick case is beige and gold in colour. Packaging is okay, not great though. The cap shuts tightly and is thus travel friendly. The lipstick shade has around three different colour tones somewhat like pink, plum and a bit of brown. Those of you who want to experiment with red shade can start with this one. It is not a loud shade at all. Depending on your lip pigmentation, this shade may show up as a pretty and wearable red with earthy tones or as a beautiful pink. This particular shade won’t suit those who are dusky. The rest of you can carry if off easily. 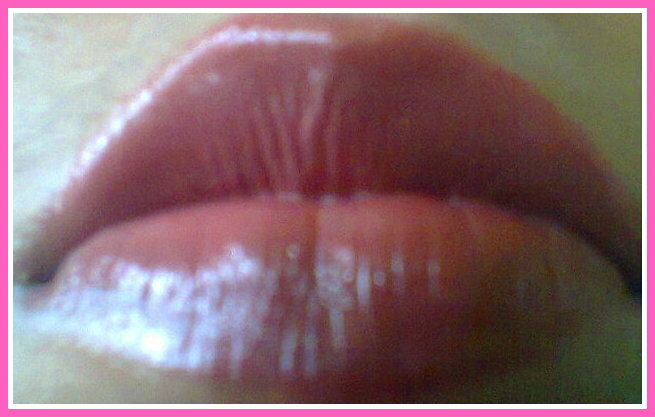 The lipstick glides on smoothly. It has no shimmers and gives a finish which is between matte and glossy. 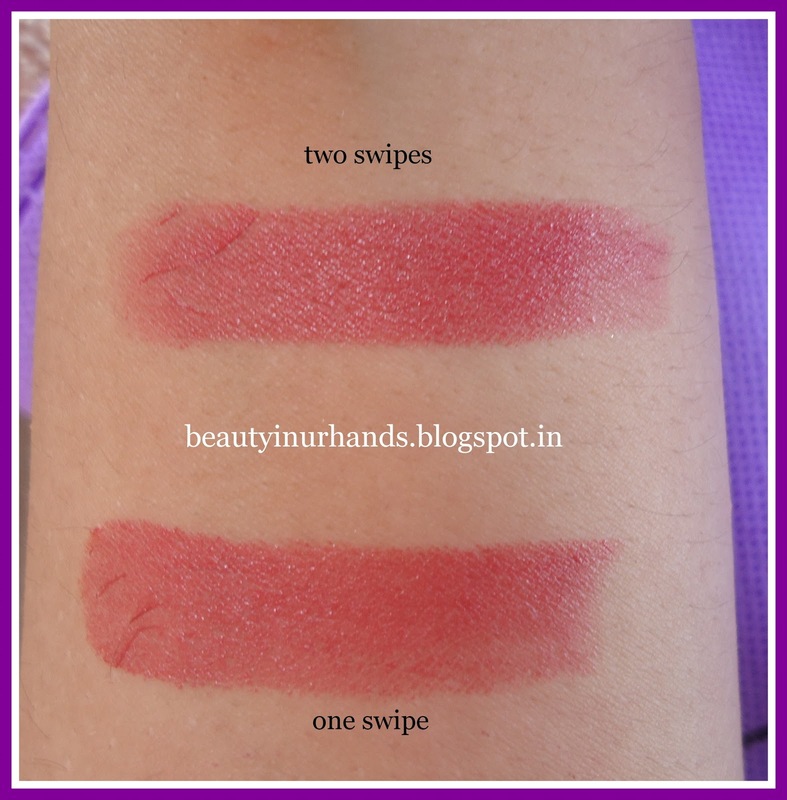 Two swipes will easily cover up any pigmentation. This lipstick is not that drying. You can even skip a lip balm. During winter you will need a lip balm underneath. It stays on my lips for a maximum 3 hours and then fades away leaving behind a pinkish stain which stays on for a long time. It doesn’t settle into fine lines nor does it give the patchy look. 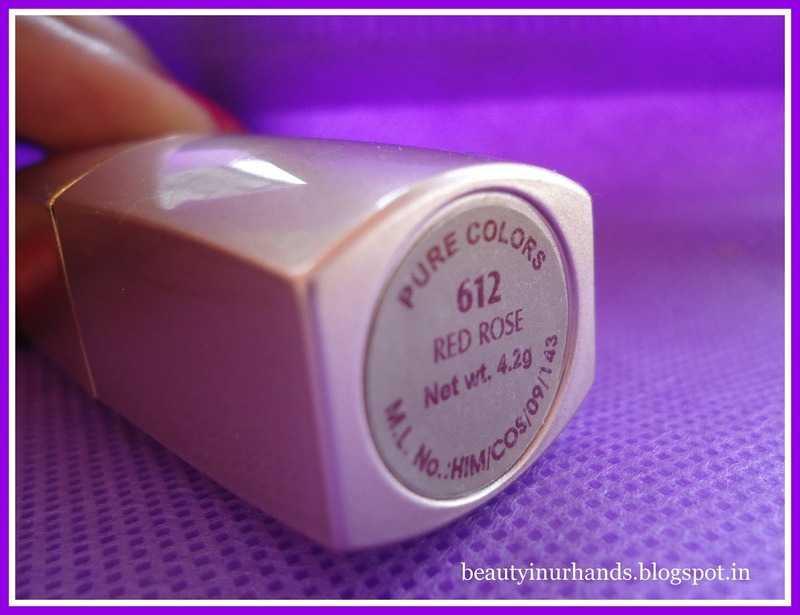 This is a perfect shade for everyday use. 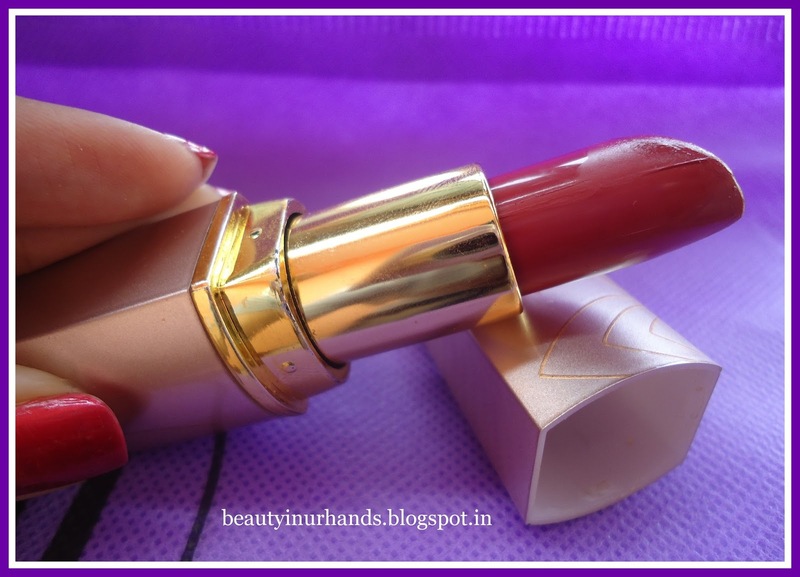 The lipstick has a faint fragrance which goes away soon after application. Since the packaging is opaque, it is difficult to identify the shade if you own more of these lipsticks. I also like the fact that the lipsticks from this range haven’t melted even a bit in spite of the humid weather. 1. Opaque packaging makes it difficult to choose the required shade if you own more of these lipsticks.